All Line Messenger chat conversations are uploaded to your online TheTruthSpy control panel which you can access from anywhere with an internet connection. Are you worried about the increasing social media activities of your children? Do you fear that your workforce is spending all its timing idling away on Line Messenger? Do you want to find out what they chat about and who they are chatting with? You can get all of this information by simply installing TheTruthSpy into their phone. Once installed, the app will report all Line Messenger chat activities to you. 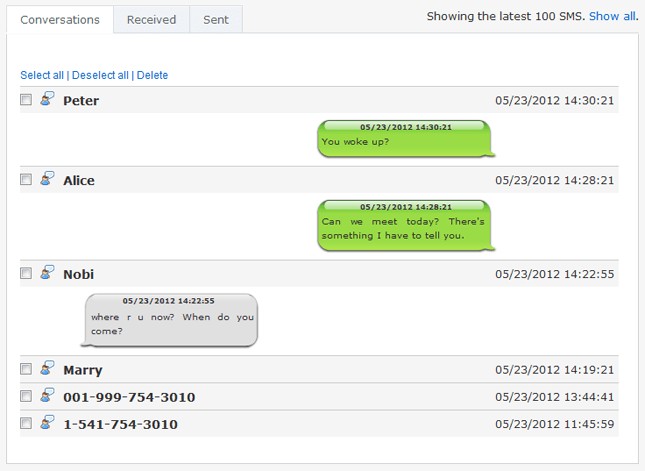 Just log in to your online TheTruthSpy control panel and you can access all the Line Messenger chat details you need.